The latest Taste of the Week is packed with flavour and makes for a great lunch after a rainy midweek morning. Full of goodness too as Lentils provide “plenty of protein, cholesterol-lowering soluble fibre and about twice as much iron as other legumes”. Cully & Sully provide lots of information on their packs and even a recipe on this one where you can combine chickpeas with the soup. 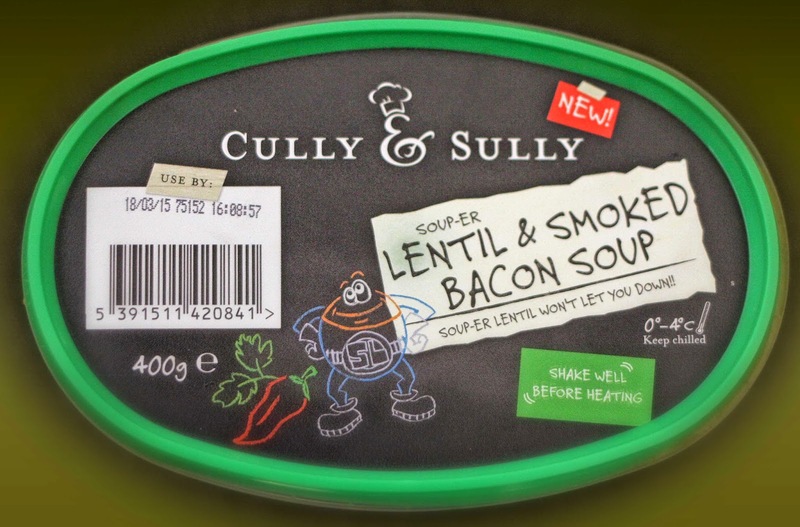 Cully & Sully have a big range of soups and also do Hot Pots and Pies, all widely available. Check it all out here, either before or after enjoying our Taste of the Week! You’ve got to love this: two good things in the one package from Cully & Sully. First - they've come up with a Magic Bean Soup. It is good for your heart. Second - it is good for someone else too. Cully & Sully have pledged a donation from sales of this limited edition to the Heart Children Ireland charity, a support group for parents and families of children with a Congenital Heart Disorder. 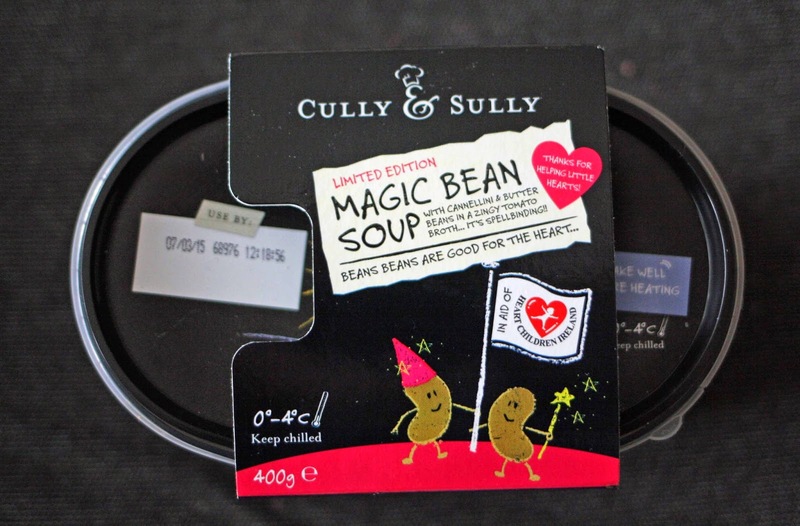 The Limited Edition Soup has just launched ahead of Valentine’s Day with Cully and Sully hoping, in this traditional time of love, to raise awareness of the charity who do their work nationwide with no government funding. So keep an eye open over the next while for the distinctive black and red package and spread the love! And the soup? Well I’ve just had a sample and it is red, robust and warm, perfect for these end of winter days. Great flavours and texture and packed with healthy beans (cannellini and butter) in a tasty tomato broth. So there you are, two good reasons to try this top notch soup. First - you’ll enjoy the soup, and so will your heart. Two - you’ll also enjoy helping Ireland’s little bravehearts. Chef Factor is back for 2011! L-R: Sully, last year's winner Christine Crowley, Rachel Allen and Cully. Colum O'Sullivan, of Cully & Sully, has been in touch with the news that the Chef Factor is to return this autumn. 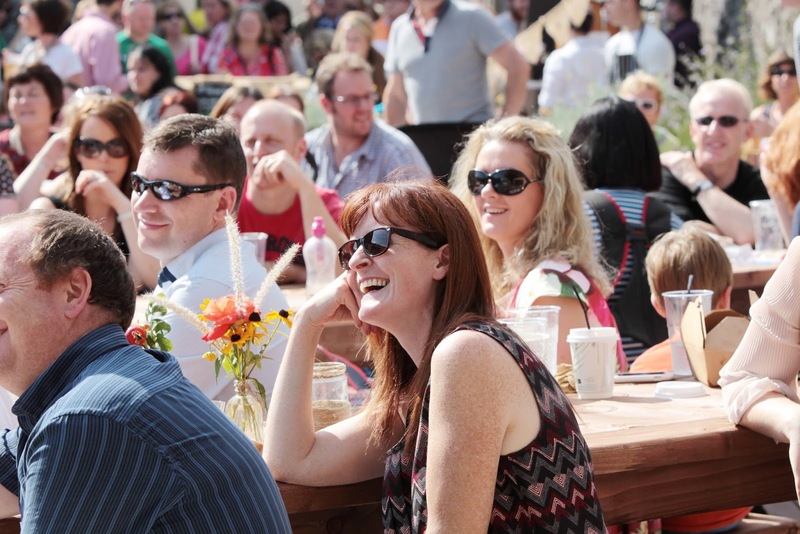 "We’re proud to say that its return has been widely tipped as one of the hottest events in food to watch out for this year. 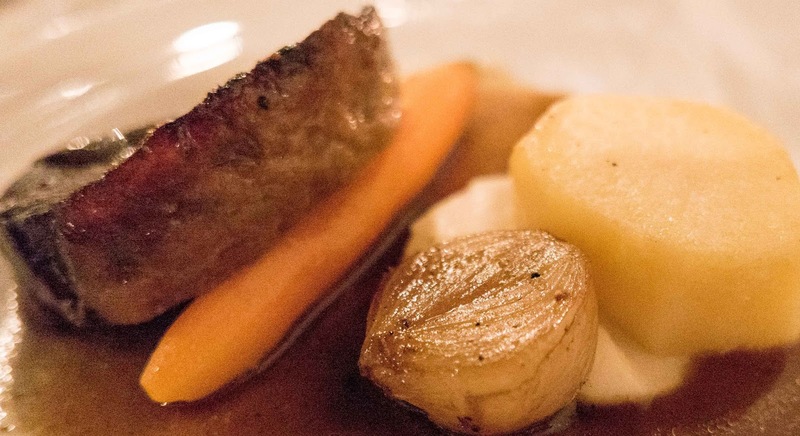 The prize is the same as last year- a place on January’s coveted 12 week Ballymaloe cookery course including accommodation, together worth over €12,000 euro and will include two weeks with myself and Cully to learn the ways of the food business. Lat year's winner Christine is doing really well now, running her own tearooms and everything!" "Again we’re really trying to get across that Chef Factor is for anybody who wants to learn how to cook and develop their own career in food. You don’t need to be a good cook to enter as the prize is professional training in one of the world’s leading cookery schools. We are simply looking for someone who really wants to win this once in a lifetime opportunity. You can enter anything you like-from beans on toast to a risotto, from steak to a cake!" "We are also trying to remind entrants that Chef Factor is not all about online votes, as while three finalists will be determined by public vote, two wildcards will be handpicked by Cully and I to go through irrespective of votes and all finalists will be on an equal footing at the final. Everybody stands a great chance of winning the top prize!! Entrants are accepted from September 5th, 2011 and the winner is expected to be chosen in Ballymaloe on Saturday the 26th of November." Entering is the same as last year- EASY PEASY! All you have to do is upload a simple photo of a dish with the words “Cully & Sully” somewhere in the image and submit this to cheffactor.ie along with a brief explanation of the dish and the reason why you deserve to win! 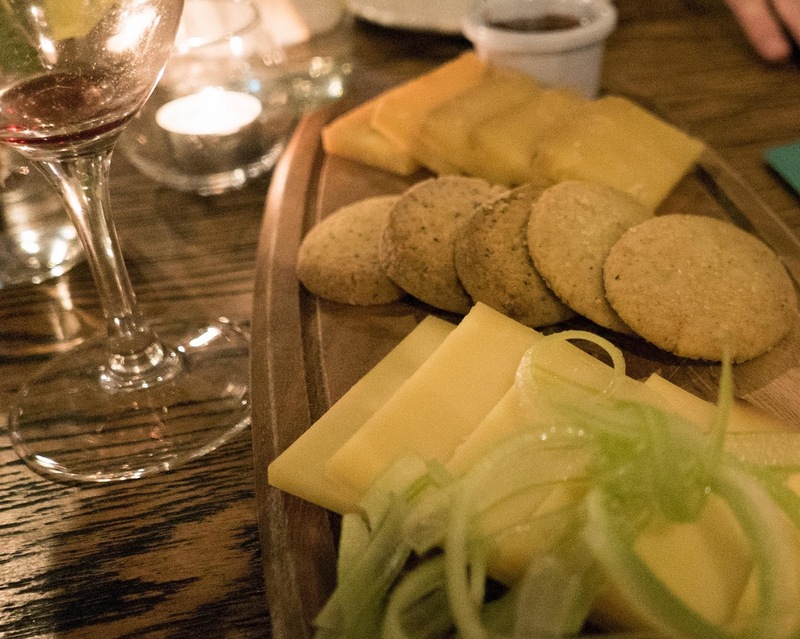 With so many top class food producers now operating in the area, plus the English Market on our doorstep, eating in can often be every bit as good as dining out. Take last night for example. We have some brilliant soup makers locally, including Just Food in Cobh. Just a few miles over the road, we have Cully and Sully and it was their White Winter Vegetable Soup that we picked up in Dunne’s Stores. This winner of the Global Sial D’Or, for the World’s best new product, is made largely from potato, onion, celeriac, parsnip, leek and cauliflower and the Ballymaloe traditional essentials butter and cream. The outside of the 400g pack, by the way, is packed with info and even a recipe and all for €2.49. Just pop it in the micro-wave for a few minutes and you have a gorgeous starter. 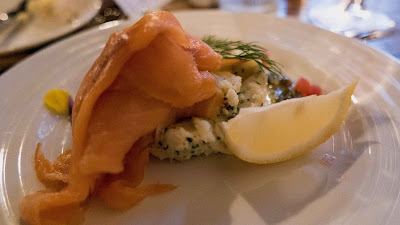 The main course, Mediterranean Fish, took a bit longer. Got some lovely hake from Ballycotton Seafood in the Market. The recipe came from the packed November edition of Easy Food, which cost just €3.00 and is well worth it. The other easily obtained ingredients were: cherry tomatoes, red onion, olive oil and basil pesto. This was satisfying dish and simple to make. 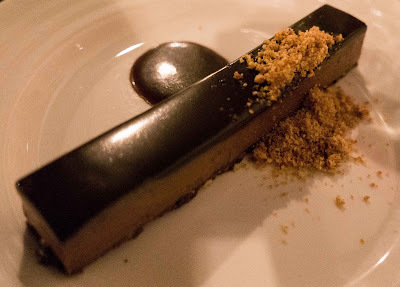 Compliments to the chef and to Easy Food, not to mention the hunter gatherer! We normally drink white wine with fish and we tried out a bottle of Adria Pinot Grigio 2009 (one of the new range being imported by Wine Alliance and available in quite a few outlets, including Bradley’s in North Main Street, for €9.49). It is an excellent example of this Italian wine and a great match for the hake.